The AHMP board of directors has recommended the adoption of amendments to our bylaws. These amendments were proposed by a Governance Task Force following a thorough and lengthy vetting process, which included gathering input from the membership. Adoption of the proposed amendments requires an affirmative vote of a “super-majority” (two-thirds) of ballots submitted by AHMP members in good standing. As an AHMP member, you are requested to vote on the proposed amendments during a 30-day period commencing with this notification and ending on August 1, 2018. You will have the option to accept or reject all proposed changes or just accept select categories of proposed changes. Access your ballot here. Consolidation of membership categories (Section 2 of the bylaws). Change in the governance model to a parliamentary structure (Sections 3, 4, and 5). Establishing the Awards, Chapter Development, Government Affairs, and Professional Development Committees as standing committees (Section 6). Administrative changes and changes required following a review by legal counsel (throughout the bylaws). Before you vote, you are encouraged to review the existing bylaws, a redlined version of the proposed amended bylaws, and a section-by-section explanation of the proposed changes. 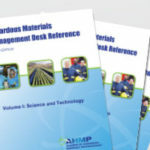 These three documents are also posted in a password-protected area (login required) of the AHMP website. If the proposed parliamentary structure is not accepted by the membership, any and all other changes that are accepted will be incorporated into the revised bylaws, and administrative changes will be made to be consistent with the current governance structure. If the proposed parliamentary structure is approved, an implementation timeline will ensure a smooth transition to the new governance structure. This timeline is outlined in the “Explanations” document posted on the website (see link above). Thank you for your careful review and consideration of the proposed amendments. I hope you will take the time to submit your ballot by Wednesday, August 1. This entry was posted in AHMP National News by Tom C.. Bookmark the permalink.